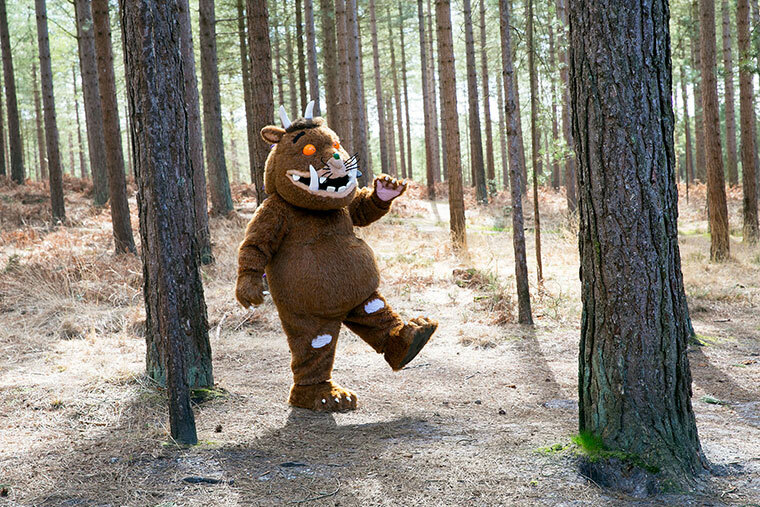 The Gruffalo is making a special appearance on 24 and 25 February to help celebrate. Moors Valley Country Park and Forest is celebrating its 30th birthday this year and has new family attractions and special events to visit. The park, which recently won a prestigious Gold award at the South West Tourism Excellence Awards, has something for all ages. It offers safe, adventurous play for children and makes a great family day out with a busy programme of events. The 30th anniversary celebrations started in style with the opening of two new attractions. The Highway Rat Activity Trail is inspired by author and illustrator duo Julia Donaldson and Axel Scheffler’s children’s story, which was premiered on the BBC last Christmas. Brought to life in the Moors Valley forest setting thanks to a partnership between the Forestry Commission and Magic Light Pictures, visitors to the woodland trail follow in the footsteps of the mischievous rodent intent on swiping the sweet treats of every forest creature he meets. The family fun can be extended by buying a £3 highway saddle bag, which includes a Highway Rat mask and activities to enjoy along the route. 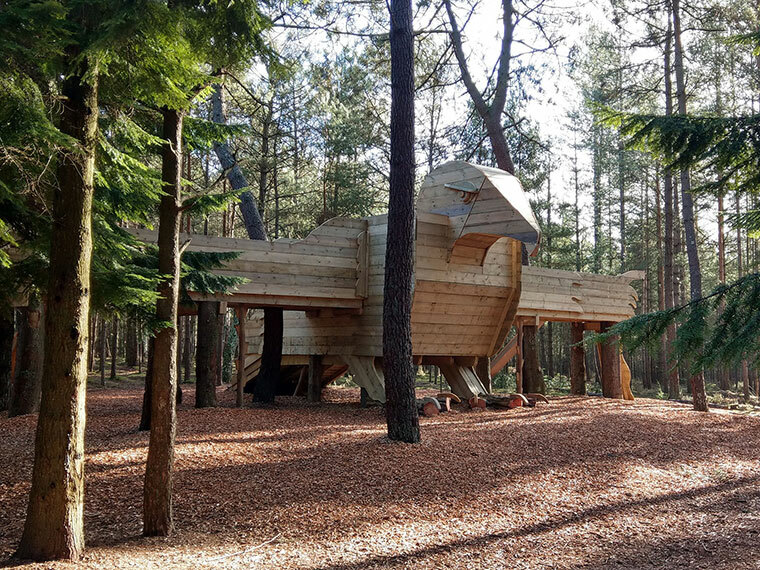 Standing proud on the play trail, the new Hawkhouse is huge, reaching over five metres into the sky, with wings extending to more than 18 metres wide. Created by Hampshire artist Andy Frost and his team, Hawkhouse was inspired by the Harris hawks flown at Moors Valley. The play sculpture makes a dramatic addition to the two-mile play trail. Also new to the park are some new friends to join the giant sculptures of The Gruffalo and The Gruffalo’s Child in the deep dark wood. Loved by children across the world, sculptures of mouse, fox, owl, snake and squirrel have been crafted to match Alex Scheffler’s drawings, completing Julia Donaldson’s magical story of The Gruffalo. To celebrate the arrival of the new storybook characters, The Gruffalo himself will be making special appearances at the park between 10am and 2pm on Saturday 24 and Sunday 25 February. On Saturday 10 March, Moors Valley is hosting an Accessible Activity Day and inviting visitors of all ages and abilities to get out and about and enjoy the accessible facilities including accessible cycling, an audio trail, a sensory nature table and pond dipping. Emma Reeks, engagement ranger, said, “With our 30th anniversary this year, 2018 is a major milestone for Moors Valley and we’d like to encourage everyone to come along and join in our celebrations. From birthday parties to family get-togethers, adult meet-ups to special events, there’s always something new to discover and with 1,000 acres to explore, it’s possible to avoid the crowds – even in the height of summer – simply by strolling or cycling off into the woods”.